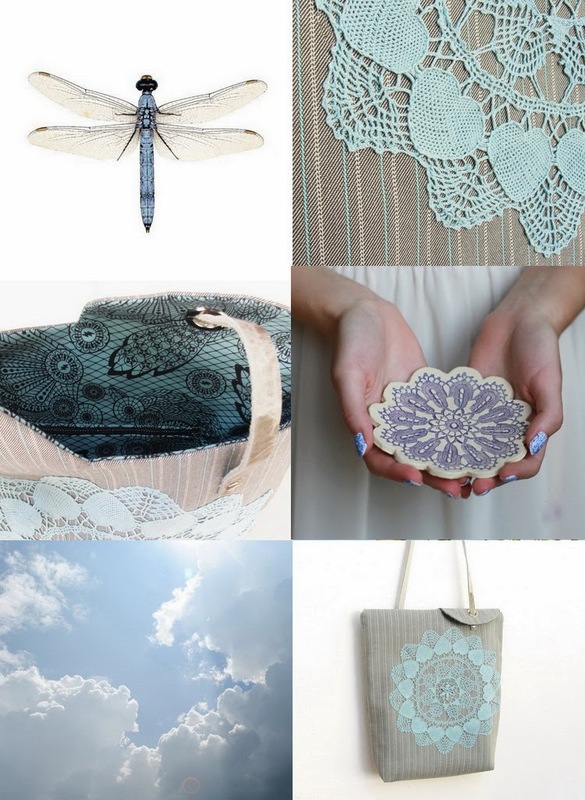 Blue sky with some fluffy white clouds, doilies and dragonflies, this freshly made tote reminds me of fresh air and romantic times. Beautiful collection! Thank you so much!